CLASS 201 will help you develop the habits you need to jump-start your spiritual growth. It will give you an overview of the four basic spiritual habits every Christian needs in order to grow: Daily Time in the Bible, daily prayer, giving, and fellowship. Rooted and grounded in God's Word. Feet firmly planted on the truth. Confident in what we believe, why we believe it and, most importantly, why it matters. This is something that many of us want in our lives. Foundations, taught by Pastor Tom Holladay and other Saddleback teachers, is a step by step approach to understanding the essentials of what it means to be a follower of Christ. 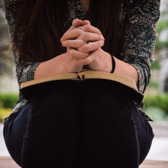 Although it can sometimes be challenging, your time with God in prayer and reading the Bible can be a surprising and extraordinary journey into the heart of God. Learn how to make the most of your daily time with God with Enrich, this brand-new, 40-day guide! You'll learn different methods of engaging with God's Word every day. Download this new interactive e-book to take your daily time with God to a deeper level starting today. Sign up to request download link. Access a free Bible on your phone, tablet, and computer. YouVersion is a simple, ad-free Bible that brings God's Word into your daily life. Now you'll have your Bible with you wherever you go. Read from dozens of translations or start a daily reading plan. You can even share what you're reading with friends and family. The word "tithe" literally means â€œtenth" or 10%. Tithing, or giving ten percent of your income, isn't merely giving something to God. It's giving back what was his to begin with. All that we have, or hope to have, comes from him. The Bible says that tithing is a reminder that God is the supplier of everything. It teaches us to always put God first in our lives. Explore resources that can help you grow into the money-manager that God wants you to be. Designed to encourage you in your next stewardship steps, we offer financial classes, free seminars, and individual coaching. We address topics like budgeting, saving, debt, investing, giving, estate planning, relating about money, and other financial topics. Life is not meant to be lived alone. In fact, God hates loneliness. You were created to experience life with other people, and that's why at Saddleback, we encourage you to get into a small group. 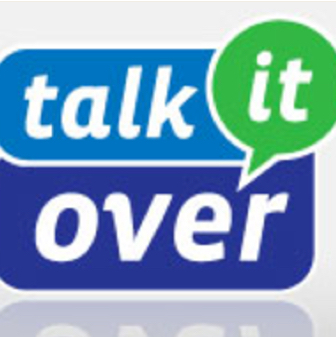 A small group is a group of three or more people who gather each week in a home, workplace, or online. In a group you'll hang out, study the Word, and pray together. No matter where you are in life, there's a group for you. 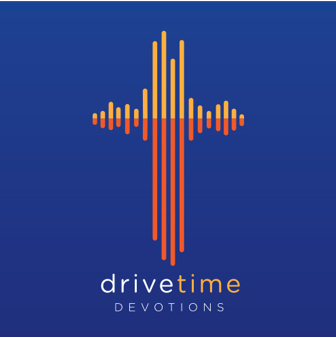 The Drivetime app brings Pastor Tom's full library of content right to your fingertips. Search for specific devotions by keyword, verse, or book of the Bible, and find exactly what you need, when you need it. 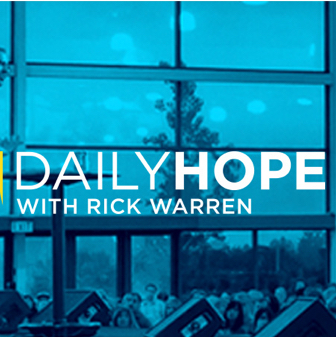 Daily Hope is a half-hour Bible teaching program in which Pastor Rick shares a meaningful and applicable message from Scripture to encourage, equip, and train people to fulfill God's purpose for their lives. Sign up for this weekly tool that will help you personally apply the message points we learned on the weekend. 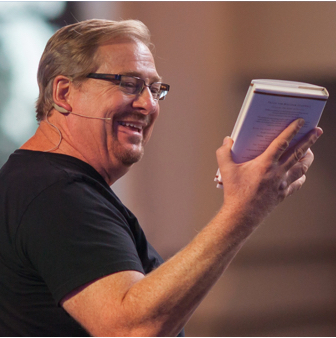 This weekly tool will help discuss Saddleback's weekend message with your small group. It includes scripture excertps and thought procvoking questions to help your entire group apply the truths of the Bible. The Retreat Center at Rancho Capistrano is a beautiful, 170-acre oasis where you can go to pursue spiritual growth, rest, and renewal through affordable retreat programs. Looking for a great book to help you grow? 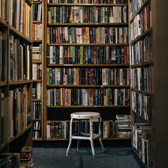 Check out Saddleback's list of recommended books and find just the right one for you. Experience an interactive art installation and outdoor trail for the whole family. This trail of 15 mosaics will allow you to consider the path Jesus took to the Cross.